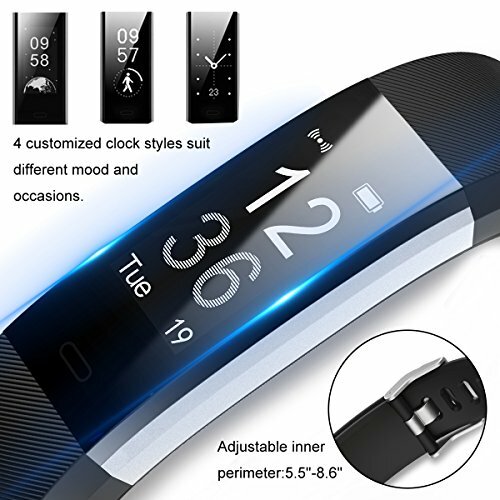 ?CALLER ID DISPLAY AND EASY DECLINE INCOMING CALL ON WRIST.Practical functions:step tracker,calorie burnt,mileage,active minutes,Sedentary remind,Vibration Alarm,SNS notifications including SMS(Facebook,Twitter, Whatsapp, Linkedin, Instagram,Messenger.,etc),Calendar and Email. ? 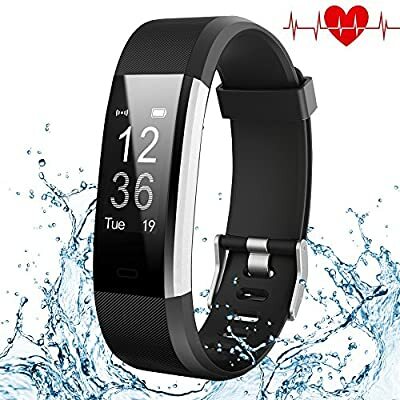 MEASURE DYNAMIC HEART RATE BETTER FOR WORKOUTS: Constantly detect and show real-time heart rate on screen.Heart rate zone in APP including Resting(min) HR,Average HR and Max HR tell you minutes of fat burning, cardio exercise,peak exercise also. 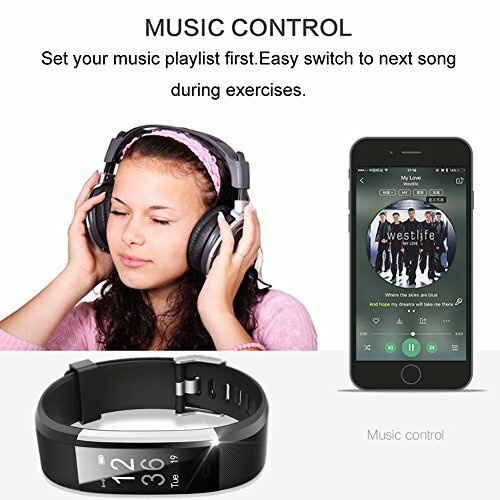 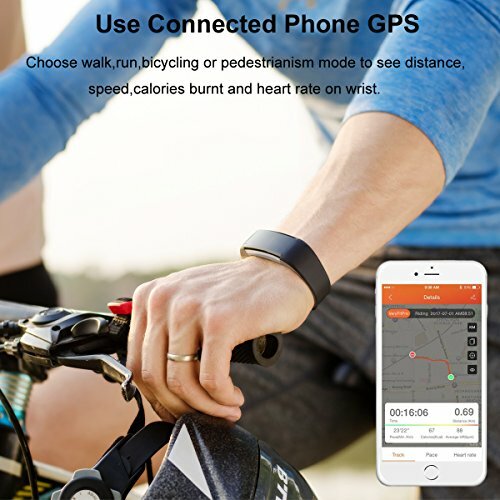 ?AUTO MONITOR SLEEP&REMOTE CAMERA CONTROL: Track sleep times of different sleep states to make sleep more efficiently.Enter APP "Veryfit Pro" and hold the oval circle under CAMERA ICON to control phone camera to take pictures randomly. 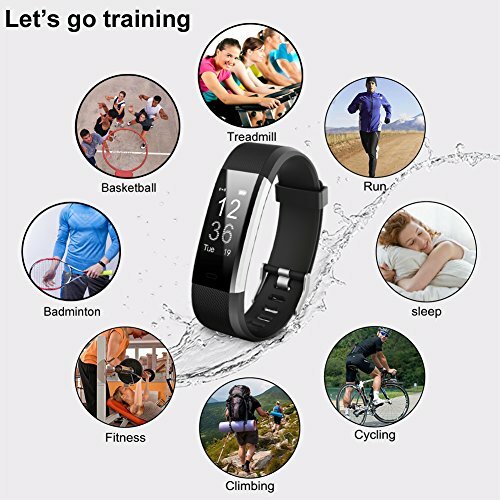 ?TAKE IT TO TRAINING: Use connected GPS mode to start running,walking,bicycle or hiking outdoor.Time,activity duration,steps,calories burned,mileage,pace,avg pace,heart rate are real-time shown in screen.Movement trajectory will be recorded in app once sync.The other 10 activities Badminton,Basketball,Tennis,Football,Fitness,Treadmill,Mountaineering,Dynamic cycling,Yoga,Dancing are optional.3 modes among them can be set directly controlled on screen. ? 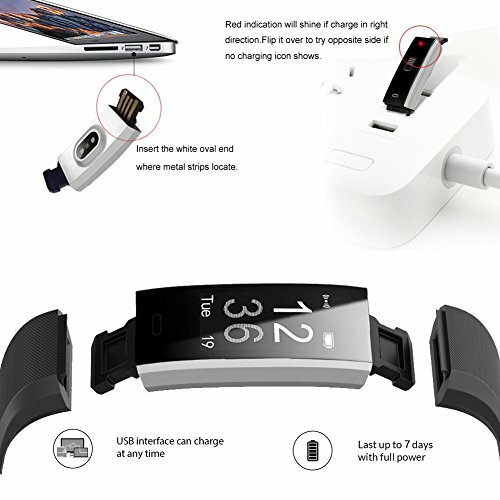 TILT WRIST TO LIGHT ON BRILLIANT LARGE AND SHARP DISPLAY: Easy check screen randomly without squinting your eyes even outdoor.4 clock screen styles optional in dial setting of APP.Easy change to suit different moods and outfits.Message Notice can be shut off to enter Do not Disturb mode to enjoy silent sleep or focus attention for deep thinking.